A Framework for K-12 Science Education (and soon, the Next Generation Science Standards) will lend strength to proficiency-based education efforts in Maine. The NGSS will help to outline a clearer progression of student learning outcomes. This clarity will support the development of more effective instructional units and make it easier for districts to collaborate on professional development to increase educator content knowledge and pedagogical content knowledge. We know that increases student learning are positively related to an educator’s understanding of the content they teach and their use of effective practices for teaching that content. Through our MLTI program we can also add further supports for learning by using technology tools that enhance the student learning described in the Framework and NGSS. This spring Phil Brookhouse and I will collaborate on a review of existing laptop resources. This review will evaluate how well the tools align to and support the learning outcomes described in the Framework. Recently Achieve, Inc. announced that they will release a draft of the Next Generation Science Standards (NGSS) for public review. Achieve, Inc., which led the development of the Common Core State Standards in English Language Arts and Mathematics, is currently collaborating with 26 Lead States on the development of the NGSS. Teachers and science education organizations should prepare now for the April release by learning more about the A Framework for K-12 Science Standards . A one-hour webinar (with Tom Keller of the National Academies) and a six-page brief of the Framework are available to assist you in understanding the Framework which serves as the blueprint for the standards. These resources will prepare you to better understand the Framework chapters on the core disciplinary ideas, crosscutting concepts, and practices. Achieve will be seeking feedback about the accuracy of their interpretation of the Framework and as well as the reasonableness and clarity with which they have integrated the practices of science and engineering with the disciplinary core ideas and crosscutting concepts. It is important to remember that Achieve and the Lead States have been charged to represent the ideas outlined in Framework. You can help to ensure that this happens. During March, I will share more information about the public release of the NGSS. Invite your colleagues to become followers of the SciTech Framework Blog (https://scitechframework.wordpress.com/) and receive these updates. I expect that the NGSS window for review, like the comment periods for the Common Core State Standards, will be limited to a few weeks. Achieve has encouraged organizations within the states to consolidated their feedback. I am asking organizations within Maine to prepare now to make this happen. 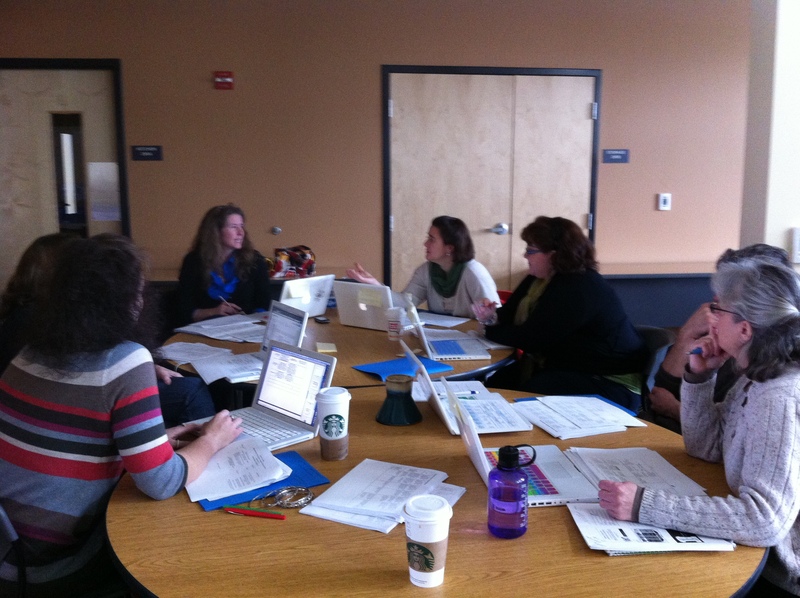 Preparing feeback as a group will strengthen our understanding of the NGSS. In addition, I will also work with the Maine Curriculum Leaders and Maine Principals Association to offer webinars specifically designed for curriculum leaders and principals. This is an opportunity to make Maine voices heard. Please join with me in making this happen. The Framework and Career and Technical Education: a Perfect Pairing. Sign at the entrance to Capital Area Career and Technical Education Center. This week I am pleased to welcome guest blogger Scott Phair to the SciTech Framework Blog. Scott’s experience as director of Capitol Area Career and Technical Education Center (CTE) and former high school principal give him a unique perspective on the implementation of A Framework for K-12 Science Education. Here are Scott’s thoughts…. Scott Phair, Director of the Capitol Area Technical Center. I first heard about A Framework for K-12 Science Education during Anita’s presentation at the Maine Principal’s Association Conference in November. I was immediately struck by the alignment between the ideas of the Framework and the goals of our CTE programs. 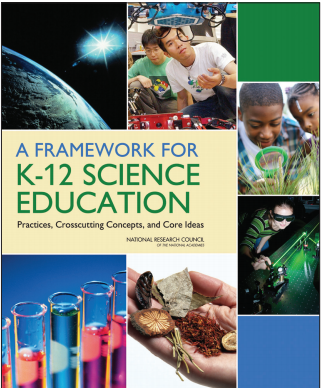 The document, A Framework for K-12 Science Education: Practices, Crosscutting Concepts and Core Ideas, (National Academy of Sciences, 2011) has three dimensions that describe the vision for student learning in science and engineering: 1.) Scientific and engineering practices, 2.) Crosscutting concepts and 3.) Core disciplinary ideas. In my opinion, there is nowhere in public education where these concepts more applied and embraced than in Career and Technical Education (CTE) programs. Students at Capitol Area Career and Technical Education Center. Let us consider three CTE experiences, the Business Careers Academy, the Computer Assisted Drafting and Design class, and the Certified Nursing Assisting class as examples. Students in the Business Careers Academy apply science and engineering practices. They ask questions to diagnose mechanical problems, develop models for precision machining, and analyze and interpret data. Computer Assisted Design 3-D printer. Students enrolled In the Computer Assisted Drafting & Design class must identify any and all parts of a mechanism (from the human brain to a wheel hub) render the part digitally with specific computer software, and then “print” the rendering on a 3D printer that casts the rendering in close to perfect scale and proportion using a plastic material. Crosscutting ideas like structure and function, and stability and change are elements that these CTE students explore daily. These ideas unify the study of science and engineering through their common application across fields. I also recently observed a Certified Nursing Assisting class on the care of elderly patients. Half the students in the class were required to simulate the behaviors and symptoms typical of elderly patients living in an assisted environment. The other half of the class read medical charts, problem solved strategies for the barriers to successful feeding, and gained an appreciation of the many medical implications regarding food, medications, and physical disabilities. To provide high quality care for the elderly, our students (tomorrow’s caregivers) are expected to collect, evaluate, and communicate technical science information. These skills are highlighted in the science and engineering practices of A Framework for K-12 Science Education. These are just a few examples of science and engineering applied across many fields. Successful students in CTE programs earn industry-standard portable credentials. These credentials are recognized by businesses and industry as indicators that the students have solid entry-level skills. It’s satisfying for students. Its the nature of working with real people, on real problems that have real rewards and consequences. This fall Commissioner of Education, Stephen Bowen, with support from the Coalition for Excellence in Education, gave every Superintendent of Schools and Career and Technical Education Director a copy of the book Inevitable: Mass Customized Learning. This book describes a vision for the schooling of the future. 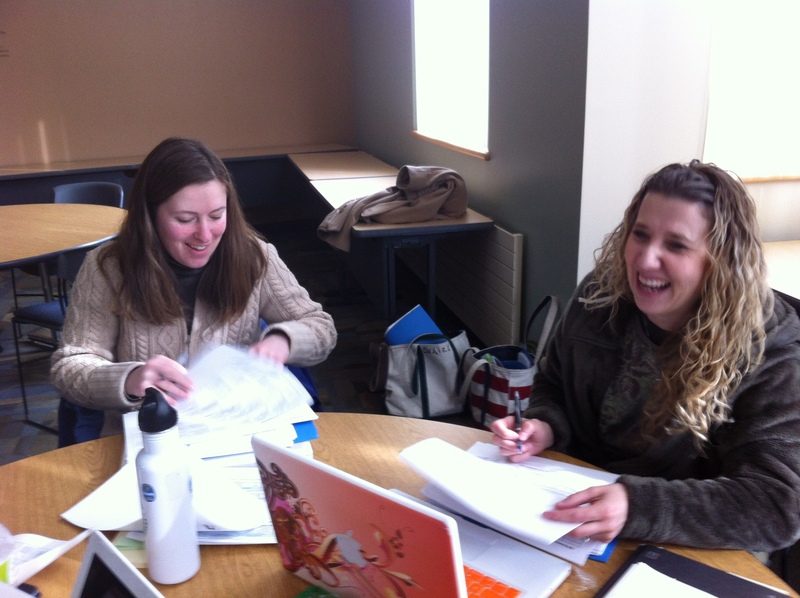 A Framework for K-12 Science Education provides a vision for the future of science education. The promise of science, technology, engineering and math education simply cannot be realized in the present system of instruction in most U.S. schools. We must replace the complacency and slow pace of change in education with a sense of urgency and the iron will to construct schools and school programming designed to make students successful in the future. Tomorrow’s STEMers will be determined by the ideas we embrace today and choices we make right now.